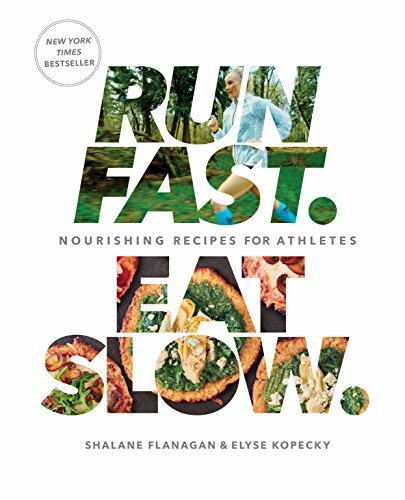 Packed with more than 100 recipes for every part of your day, mind-blowing nutritional wisdom, and inspiring stories from two fitness-crazed women that became fast friends more than 15 years ago, Run Fast. Eat Slow. has all the bases covered. You'll find no shortage of delicious meals, satisfying snacks, thirst-quenching drinks, and wholesome treats--all made without refined sugar and flour. I made a deal with myself toward the end of the year to eat healthier. I started seeking out cookbooks that are healthy and anti-inflammation. This book has a lot of really good information on nutrition. I have made many recipes from this book and all of them have been really good and are good for you. The portions are bigger than you imagine and even recipes I was a little leery of like the Omega Sardine Salad turned out to be good and something I would definitely eat again. So dig in and get cooking!